Light & Darkness Radio: Featured Today! "Tristania, Freedom Hawk..."
Another week more bands and music to add, Thanks again for being with L&DR since the beginning making this short! Here's Today Featured Bands! Tristania (NO) - Tristania was founded 1996 in Stavanger, Norway by Einar Moen (keyboards), Morten Veland (vocals/guitar), and Kenneth Olsson (drums). A few weeks later Anders Høyvik Hidle (guitars/vocals) and Rune Østerhus (bass) joined the band. In May 1997 the band entered the studio for the first time and recorded their demo in Klepp Lydstudio. Vibeke Stene was initially recruited as a guest singer for the demo recording, but she later joined as a regular member. During the summer of 1997 different labels showed interest in the demo. Tristania signed with Napalm Records and released the EP Tristania. Tristania's first full length album, Widow's Weeds, was recorded at the end of 1997 and released early 1998. 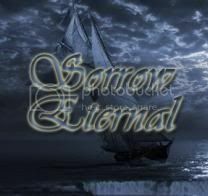 The album is symphonic metal with elements from a large variety of genres including gothic metal, death metal, classical music, and black metal. Two guest performers who were involved in Widow's Weeds would later get more prominent roles on Tristania’s albums; singer Østen Bergøy (who would later become a full band member) and violinist Pete Johansen. Tristania got to do their first shows outside of Norway as support act for Lacrimosa in Belgium and at the Mind over Matter festival in Austria in August 1998. Later the same year Tristania went on their first European tour, with Solefald and Haggard. The band's second full length album Beyond The Veil was released in 1999. As on the debut album, Moen and Veland wrote the majority of the music, but Moen and Hidle emerged as a songwriting team. Jan Kenneth Barkved appeared as an additional singer. Tristania followed up the release with their first headlining tour with The Sins of Thy Beloved, Trail of Tears and Antichrisis as support acts. The band also toured with Tiamat and Anathema in 1999. The band continued touring extensively in 2000. In December 2000 Veland and the rest of the band agreed on going separate ways, due to musical and personal differences. World of Glass was released in September 2001, with guest contributions from Ronny Thorsen, Johansen, and Barkved. The album added classical and industrial elements to Tristania's sound, and included the band's only cover version: "The Modern End," originally by Seigmen. Bergøy, now a permanent member of the band, also began to write lyrics on this album and has since become the band's main lyricist. Kjetil Ingebrethsen joined the band prior to the World of Glass tour on extreme vocals. On that tour Tristania was supported by Rotting Christ, Vintersorg, and Madder Mortem. More touring of Europe and Latin America followed in 2002. In 2003-2004 Tristania took a break from performing live to focus solely on songwriting. Ashes was released on SPV/Steamhammer Records in February 2005 and featured a stripped-down sound that de-emphasized the classical and operatic elements of the previous albums. The band then toured Europe and Latin America (sometimes without Moen, who chose to remain at home and focus on songwritin along with Nightwish,Gothminister, and Kreator. After the tours, Ingebrethsen decided to leave the band as he wanted to continue his musical career at a lower level. The band decided not to recruit a replacement, and Hidle took over the growling vocals. Illumination was released in January 2007, with touring guitarist Svein Terje Solvang added as an official member. Vorph of Samael appeared as a guest singer and a string quartet appeared on several songs. Shortly after the release of the album, Vibeke Stene suddenly decided to quit her musical career in order to focus on family and her work as a teacher. As a result, all planned touring activities were put on hold. After holding auditions for a singer with a voice different than Stene's, Tristania recruited singer Mariangela Demurtas from Sardinia, Italy, who officially joined the band in October 2007. Østerhus and Solvang both quit the band in 2008. Ole Vistnes joined as the new bassist and Gyri Losnegaard later joined as second guitarist. The new line-up featuring Demurtas on vocals debuted on February 29, 2008 at a festival appearance in Kiev, Ukraine. The next member to depart was drummer Kenneth Olsson, who was replaced by Tarald Lie; while singer Østen Bergøy scaled back to part-time status with the band due to family commitments. Kjetil Nordhus was added to the lineup on clean vocals. The band's sixth album, Rubicon, was released on August 25, 2010. After the Out of the Dark Festival in October 2 of 2011, the Hungarian Lambda Team has released a freeware PC game about Tristania, named Tristania 3D. Freedom Hawk (US) - Hailing from the barrier dunes of Virginia, this quartet blends heavy riffs, a rolling groove, and soulful guitar melodies to produce the sound that is Freedom Hawk. Their brand of heavy rock coupled with a high energy live show, leaves many wondering if they’ve stepped through a time warp that has taken them to rock’s heyday of the 70’s. 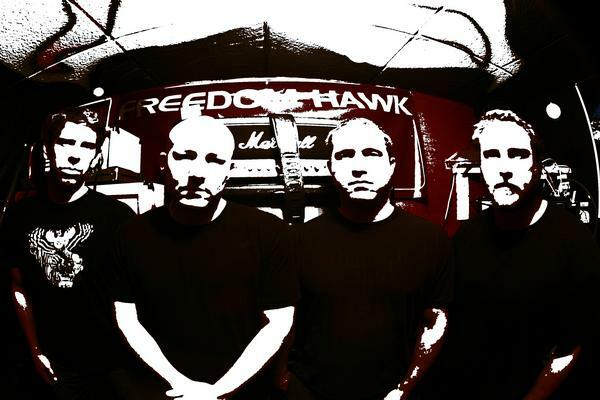 The origins of Freedom Hawk began in 2003 when friends Mark Cave (bass) and TR Morton (guitar; singer) were introduced to Lenny Hines (drums) through a mutual friend. Mark and TR had been jamming together for some time and could not find the right drummer to match what they were playing. Once they brought Lenny into the fold, the two knew they found the drummer they were looking for. Now a trio, the three realized their songs were missing a certain dynamic that would be required to achieve what they wanted to hear. In comes Matt Cave (guitar). Matt had been working with another band in the Virginia Beach area at the time and knew his brother Mark was looking for a second guitar player. After a few successful sessions and the eventual request by his brother Mark to join the group, Matt decided to be the fourth and final addition. A quote in Performer Magazine from a live show states: “[Freedom Hawk is] East Coast's answer to Fu Manchu, keeping it simple and thick with harmonious metal groove. It wasn't heavy riffs and growls, but power riffs and soulful rock delivery wrapped in metal packaging. Freedom Hawk's sound is large, like trying to force an elephant to fit in a closet. It is also melodic for such heavy handed playing. Walls of guitar riffs were pushed out heavy, soaring and moving like swells and waves at the same time." This band will make you turn it up real loud driving in your car head bobbing the whole time on the edge of your seat until you reach your final destination. Freedom Hawk’s music slashes away, tearing its way into the ears of all those who listen with original quality matched only to those which have proven themselves in days past. The driving beat and heavy guitars with timeless vocals gives light to a new birth in heavy music, with a ray of excitement allowing you to rock away to Freedom Hawk’s dark music fueled by the sun. Lookout for a new full length CD and Vinyl LP coming out this year on Small Stone Recordings.